Tuesday afternoon, a contingent of Kickstarter employees went public with their intention to unionize under the name Kickstarter United. According to an email provided to Gizmodo, however, senior staffers at the crowdfunding company are already attempting to push back against their fellow employees’ plan to make Kickstarter the first major tech firm to have a union. A Kickstarter spokesperson previously stated that the company is “aware that there are team members at Kickstarter who are interested in forming a union” and that “we look forward to hearing more about our employees’ concerns.” Similarly, Howard, Nilaratna, and Thayer write in their memo that they “hope well-intentioned, good faith dialogue with executives and a specific list of issues from unsatisfied coworkers can get us to a better place [...] before resorting to something as extreme as a union.” It’s unclear what about forming a union—a right enshrined in U.S. law since 1935—is believed to be extreme. “We owe leadership time to try to keep this all afloat, and we owe each other good faith efforts to make things work,” the authors urge. As reported by Techcrunch Tuesday, Kickstarter’s CEO, Perry Chen, stepped down shortly after the Kickstarter United announcement. Kickstarter Union declined to comment. The memo is reproduced in full below. As Kickstarter employees and peers of those who recently wrote of their intent to move forward with a union, we feel it’s important to share another view. While we’re politically aligned on the general tenants proposed by the union, we disagree with the interpretation that Kickstarter’s culture isn’t diverse and doesn’t allow for opinions to be heard, that senior leadership doesn’t offer a space for dialogue, and that pay isn’t equitable in the company (pay information is publicly reported in the PBC report and the People team has established a formal review system). Furthermore, we feel we’re owed more detail from the union organizers as to what their specific demands are and how a union will address them. 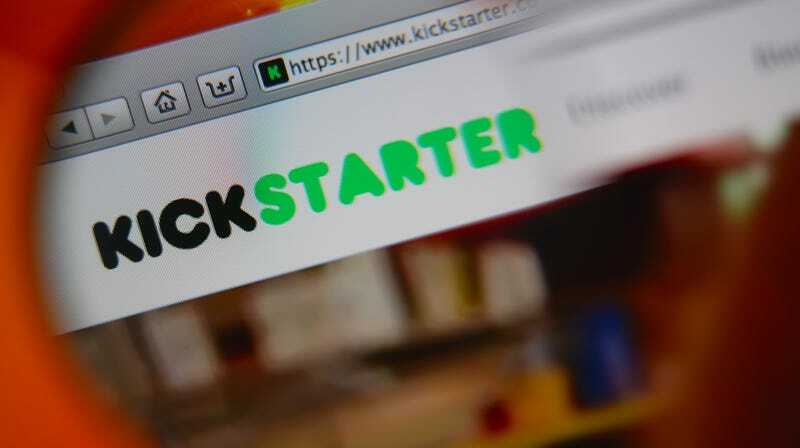 The effort to unionize Kickstarter hasn’t felt transparent or fair. It’s troubling that the union’s pillars were formed behind closed doors and are still poorly defined. Some of us attended the first public meeting on Tuesday, and left with more questions than answers. There’s a strong “join first, ask later” approach, no clear list of demands, and no public timeline for voting. Some coworkers have felt harassed by recruitment efforts. Plus, leaking this news to the press felt like a strong-arm pressuring everyone to get on board. Forming a union is a great tool—for marginalized workers. Unions are historically intended to protect vulnerable members of society, and we feel the demographics of this union undermine this important function. We’re concerned with the misappropriation of unions for use by privileged workers, some of whom receive compensation more than twice the average income in NYC, in addition to flexible work from home hours, above-and-beyond industry standards for parental leave, 25+ days of paid vacation, a wellness stipend, a bike stipend, an education stipend, a weekly catered lunch, and a great deal of other benefits. We’re already a radically thoughtful and ethical company with our PBC, and can do more to lead the way in the tech industry by providing an open environment that’s free of hostility. If the problem has been unstable management, this union doesn’t show a clear path to stability. The effort toward unionization ignores positive (albeit recent) changes in leadership, standardized performance reviews, and financial transparency. We have huge confidence in Aziz, and have seen every member of the leadership team make themselves available for office hours. We’re concerned about taking on what’s essentially a second job to redo this progress via a union, which doesn’t have a plan and cannot promise results. Kickstarter can fail. Our company is looking for funding to secure our financials, as we’ve heard in multiple All Hands communications. If we add a union into the mix, it could make it near impossible for Kickstarter to raise a round. Investors look at financials, mission, and employee sentiment. We owe leadership time to try to keep this all afloat, and we owe each other good faith efforts to make things work. All of our jobs, and our position as a cornerstone of the creative economy, are at risk. This is bigger than the 140 people on staff. We love Kickstarter’s mission–and we want to keep our focus on it. We work here because we get to come into the office knowing that we are supporting culture and creativity in a meaningful way. At the end of the day, we all share pretty similar values, and this unionization effort has already made it more difficult for many of us to do what we really care about. We empathize with people who are new employees at Kickstarter and anyone who might feel urged to “pick a side” without context or complete information. You’re not alone. We share your concerns and offer our support in navigating this political environment. We’re here if you want to talk, and look forward to a more open conversation. *We hope that by sending this email we’re providing more space for everyone to be an independent thinker, and do their homework on an important matter that affects all of us. Have information about the organizing efforts at Kickstarter or other tech companies?Send an email, or if you prefer more confidential methods you can chat us on Keybase or tip us anonymously through our Secure Drop server. Update 5:30pm: We’ve added comment from Kickstarter. A spokesperson further confirmed to Gizmodo that the signatories of the letter to their colleagues are not in managerial positions and do not speak for the company.